New research by scientists in Cambridge shows how alcohol damages DNA and increases the risk of cancer. 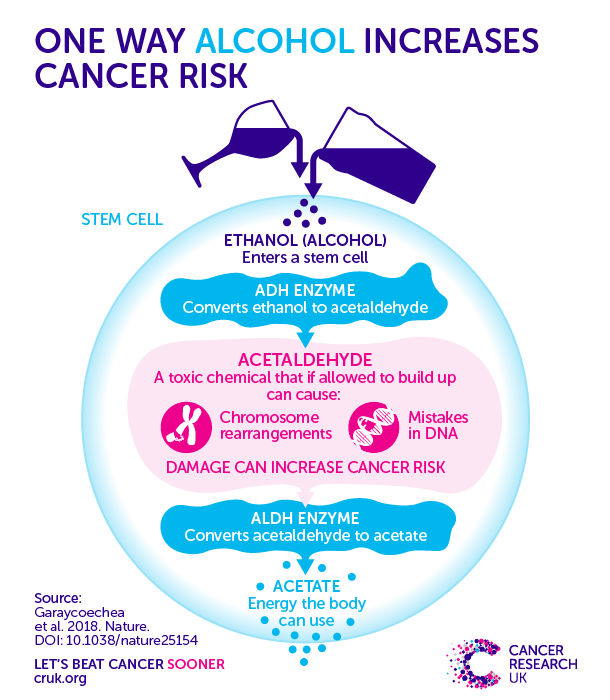 Scientists, part-funded by Cancer Research UK, at the MRC Laboratory of Molecular Biology, Cambridge, gave diluted alcohol, chemically known as ethanol, to mice. 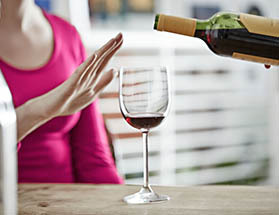 They then used chromosome analysis and DNA sequencing to examine the genetic damage caused by acetaldehyde, a harmful chemical produced when the body processes alcohol. These new findings therefore help us to understand how drinking alcohol increases the risk of developing 7 types of cancer: mouth; upper throat; laryngeal; oesophageal; breast; liver and bowel.